Privately owned, very smart caravan comes fully equipped for that perfect holiday. 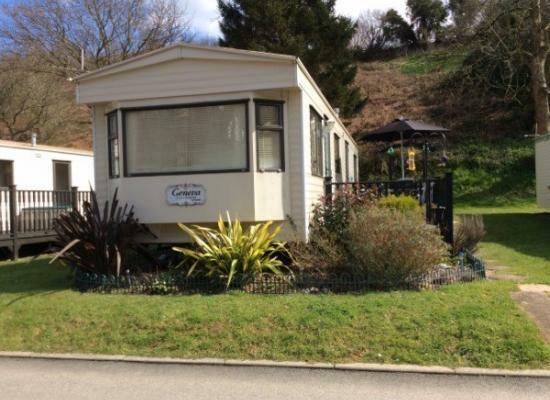 It is on Hele Valley Holiday Park, a quiet peaceful park one mile from Ilfracombe. 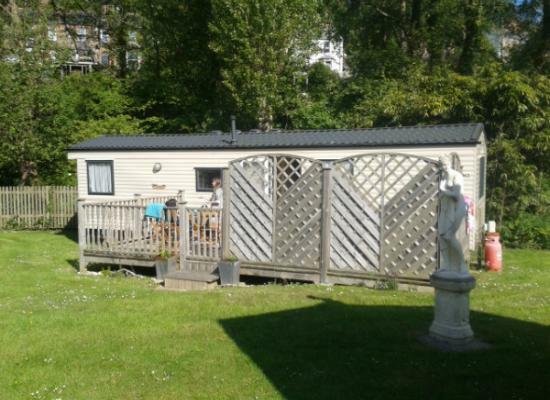 Located on Hele Valley Holiday Park which is a peaceful, tranquil park on the outskirts of Ilfracombe. With its own decking area it is a short walk to the beach and local shop, pub, restaurant. Our caravan is on Hele Valley Holiday Park, a quiet park near Ilfracombe, so no clubhouse, bar or large groups, just relaxed and chilled campers and caravanner's. The "van" is in a secluded spot, next to a stream, and has a huge deck. 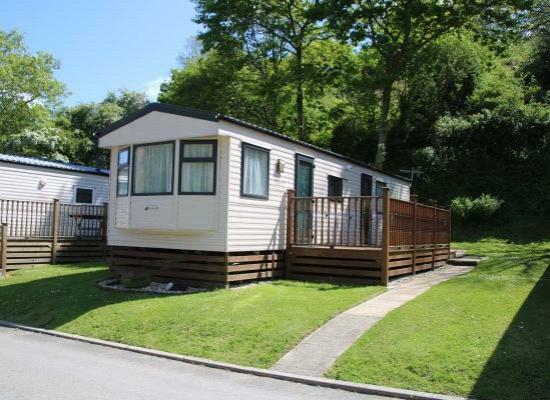 Located in a pretty part of North Devon is Hele Valley Holiday Park, just a mile from the fishing town of Ilfracombe. The surrounding area to Hele Valley has been classed as an area of outstanding beauty and you can immediately see why. The holiday park was the proud winner in 2007 of the ‘Best North Devon Holiday Park Award’, contributing to this award are the 4 star facilities on-site and the peace and quiet of the park. There is no clubhouse on-site and therefore no evening entertainment, Hele Valley is definitely a place to come to experience peace and quiet. For eating out and entertainment a short trip into Ilfracombe takes only minutes. Hele Valley Holiday Park does have facilities on-site such as laundrette, children’s play area and internet access. For a great base from which to explore the rest of North Devon you would find it hard to beat Hele Valley.